When approached to join a tech savvy team that was diving deeper into data, he couldn’t resist. Phil’s apprenticeship as a Digital Analyst at Cognetik only enhanced his desire to be a digital guru. Phil relished his time working on a highly skilled team that was consulting digital traffic for fortune 500 companies. He analyzed MM in digital revenue daily; He was tasked with a funnel analysis, traffic analysis, and behavioral analysis for Pizza Hut. He analyzed events data to attribute conversion rates to specific user behavior and drive marketing ROI. 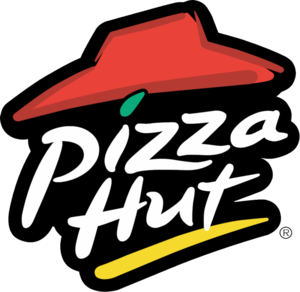 He was appointed to provide a detailed analysis of Pizza Hut’s traffic, segments, micro and macro conversion events, purchasing metrics, customer loyalty, campaigns, and channels. One of his key takeaways from this apprenticeship was the insight Phil gained in SCRUM methodologies and an AGILE team. One of Phil’s favorite parts about working with a highly capable team and heavy sets of data was the vast opportunity for strategic thinking & planning. His understanding of digital business levers was challenged and broadened extensively. On the eBay account Phil spent his time measuring KPI’s, working with several teams within a larger digital team to produce insights into Product, eCommerce, behavioral and marketing data to help the client make data-driven decisions. He worked with stakeholders across multiple teams to define qualitative and quantitative analysis methods, success metrics, data sources, data integration, channels, and customer targets. He was responsible for translating requirements into analysis and business metrics that could be utilized to drive the business forward.